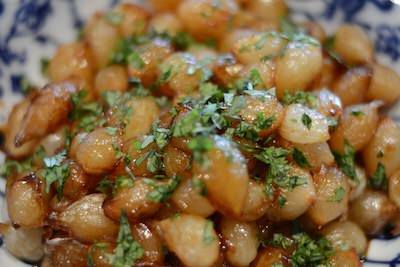 Anyone out there remember The Galloping Gourmet’s pronunciation of onions? Well, I do. U-N-Y-O-N-S ….in a long drawl. Of course there’s the peeling, slicing and the tears. I don’t mind the tears. I look at them as part of the cleansing process. Onions get my juices (tears) flowing and somehow I believe it’s a good thing. I put caramelized onions in my meatloaf. I dice up onions for my soffritto. I slice them to adorn a burger. They go in most of my soups, into the cavity of a roasted chicken, in omelets, tuna salad and, as gross as it might sound (but I assure you it is delish), in my cheese and onion sandwiches. I even grow onions in my garden. When the opportunity to work with the National Onion Association came to me, it was a no brainer. I realized I love onions. I love their look, taste and smell but mostly how they enhance my cooking. Instead of keeping them hidden beneath the covers as a flavor enhancer, I decided to share a recipe where they are front and center – the perfect side for your holiday meals: Madeira and Maple Syrup Glazed Onions. Disclosure: I was compensated by the National Onion Association for this post. All opinions, text and photographs are my own. 1. Check your local PBS listings to find when Heirloom Meals Christmas Special is airing. 2. Fun with onions! 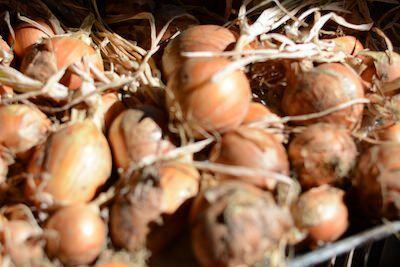 This month Heirloom Meals and the National Onion Association have teamed up. Think - onion sides. Stay tuned!! 3. 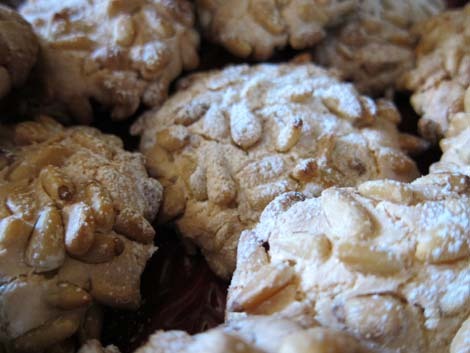 There are a couple of spots in the December 7th Italian Christmas Cookie Workshop. Local Peeps joins us if you can! 4. Tune into Newschannel 13, Albany's NBC affiliate on Sunday, December 21st around 8:30-ish. Carole will be making an Umbrian Christmas Eve tradtion: Chocolate Spaghetti. 5. Here's my latest Zester Daily article: Rooted in Heritage.